A large body of evidence suggests that G protein-coupled receptors (GPCRs) play an important role in the regulation of peripheral vascular reactivity. Meanwhile, the extent of GPCR influence on the regulation of brain vascular reactivity, or cerebral blood flow (CBF), has yet to be fully appreciated. This is of physiological importance as the modulation of CBF depends on an intricate interplay between neurons, astrocytes, pericytes, and endothelial cells, all of which partaking in the formation of a functional entity referred to as the neurovascular unit (NVU). The NVU is the anatomical substrate of neurovascular coupling (NVC) mechanisms, whereby increased neuronal activity leads to increased blood flow to accommodate energy, oxygen, and nutrients demands. 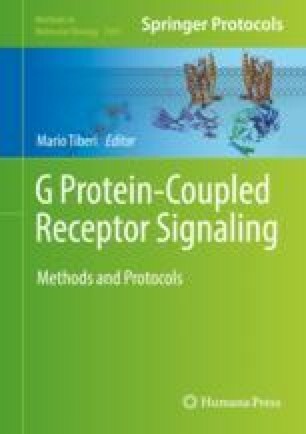 In light of growing evidence showing impaired NVC in several neurological disorders, and the fact that GPCRs represent the most important targets of FDA-approved drugs, it is of utmost importance to use experimental approaches to study GPCR-induced regulation of NVC for the future development of pharmaceutical compounds that could normalize CBF function. Herein, we describe a minimally invasive approach called laser Doppler flowmetry (LDF) that, when used in combination with a whisker stimulation paradigm in rodents, allows gauging blood perfusion in activated cerebral cortex. We comprehensively explain the surgical procedure and data acquisition in mice, and discussed about important experimental considerations for the study of CBF regulation by GPCRs using pharmacological agents.